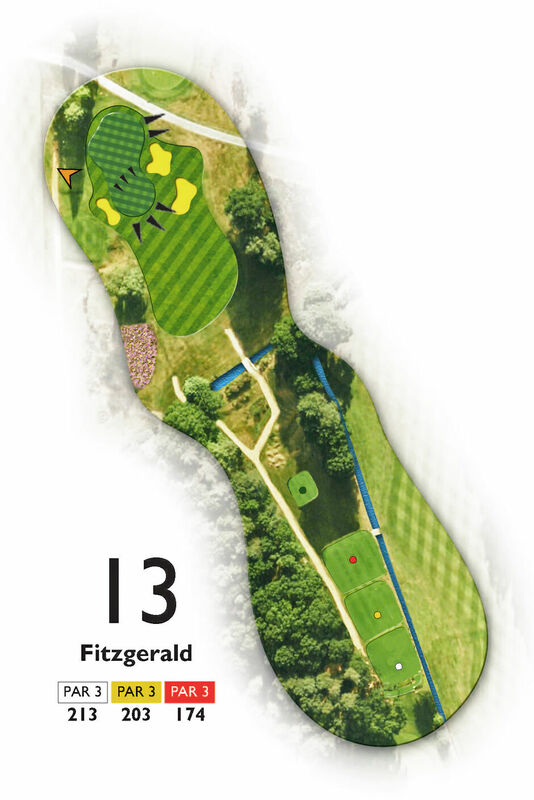 Fitzgerald: A great par 3. Unless the pin is tucked hard left, you are best to favour a left side approach, as anything right will be gathered up by the deep bunkers that lurk there. Take sufficient club, as few players go long here. The tee is skewed away to the right, so tee off on the right side to ease alignment problems and to hit away from the right hand bunkers.